Warm weather chores and recreation can put your hands at risk for wounds, infection and repetitive strains making injury prevention important when you head outdoors. Safety and protection are essential to proper hand care when gardening and mowing the lawn. There are obvious risks of hand injuries from the moving tines and blades of power tillers and lawn mowers. But, power tools can also injure hands in far less obvious ways. The vibrating handles of power equipment can result in numbness and tingling in your hands, particularly after you having been firmly gripping the power tool for an hour or more. Long exposure to vibrations can damage the nerves in your hand in the same way a repetitive motion injury can cause carpel tunnel syndrome. The damage can result in reduced dexterity and impaired fine-motor skill, and, in some cases, severe pain and cramps. Personal water crafts with engines, chain saws, motorcycles and snowmobiles can cause similar vibratory injuries to your hands. 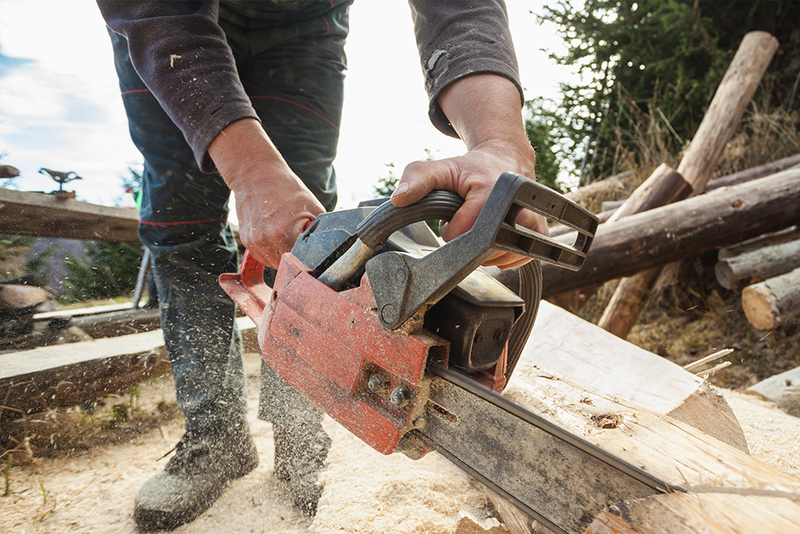 Spreading out the time that you use power tools and equipment over a few sessions can reduce hand injury risks. Limit your exposure to 20 minutes and then do some other tasks that do not expose your hands to vibrations. Varying tasks is also a good method for reducing repetitive strain injuries from manual tools and equipment. If you regularly have numbness and tinging in your hands, seek medical advice. Prolonged exposure to vibrations can cause permanent damage to your hands that cannot be cured by medical or surgical means. Delaying treatment, particularly for seniors, can also reduce the chances your body can repair itself. The ability for nerves to regenerate generally decreases as you age. Early treatment typically begins with cortisone injections. The treatment reduces swelling that pinches the median nerve that runs through a small space in your wrist called the carpal tunnel. The pinched median nerve most often causes numbness and tingling, rather than pain. Those symptoms usually appear in the hand, index, middle and ring fingers and thumb, but not in the little finger, which is controlled by a different nerve. In more severe cases, a short surgical procedure may be needed to release the tension a ligament is placing on the nerve. The surgery often provides quick relief from any pain. For 10 days after the surgery, a patient is limited to using the hand for lifting nothing heavier than a coffee cup. Normal activities can usually be resumed in three to six weeks. Trigger finger is a hand injury that is more likely in people who are 40-to 60-years old and more common in women. It is caused when an inflammation narrows the space within the sheath that surrounds the tendon of a finger. Soreness at the base of the finger or thumb is a common symptom, along with a painful clicking or snapping when bending or straightening the finger. Avoiding overuse is key to preventing trigger finger. If you begin to experience stiffness and swelling in your fingers, make sure to give them plenty of rest. Alternating activities can help keep your fingers from becoming inflamed. Treatment often involves a splint on the hand to keep the joint from moving. If symptoms continue, cortisone injections will reduce swelling and pain, and surgery can relieve tension on the tendon. While hand injuries from repetitive strains and vibrations can be minimized by limiting exposure, protective clothing and precautions reduce other seasonal risks to your hands. When digging or weeding in a garden, sharp stones, slivers, thorns, and other plant materials can injure unprotected hands. Even small puncture wounds in your hand can easily become infected from bacteria and fungus that live in the soil. The handÕs anatomy with tendon sheaths, small bones and spaces creates pathways for infection to spread. Wearing proper gloves will protect your hands from wound injuries and also reduce blistering and exposure to fertilizers and pesticides. Seek medical care for hand injuries if bleeding can not be stopped by applying continuous pressure for 15 minutes, when there is persistent numbness or tingling in the fingertip, if you are unable to thoroughly cleanse the wound by rinsing with a mild soap and plenty of clean water, or if you are unsure of your tetanus immunization status. Dr. Roach is a board certified orthopedic surgeon on staff at Cayuga Medical Center. She has specialized training in hand surgery and is in practice with Orthopedic Services of Cayuga Medical Associates where she can be reached at (607) 272-7000.